A.W., who asked to be identified by his initials, is silhouetted as he poses for a portrait in his bedroom in Philadelphia on Thursday, Feb. 14, 2019. A.W. was beaten up by counselors at Glen Mills Schools. First things first: there is snow headed our way today, friends. Up to 5 inches of the white stuff is possible in our region, with precipitation beginning in the late morning and changing to ice and/or rain by the evening. All Philadelphia public and archdiocesan schools are closed for the day, as are a few districts in the Pennsylvania suburbs and South Jersey. Once you’re prepared for the day’s forecast, you’ll want to turn to my colleague Lisa Gartner’s investigation of Glen Mills Schools. The stories of violence from inside the school, and how long it’s been going on, are shocking. Glen Mills Schools in Delaware County, a school for delinquent boys, is the oldest existing one of its kind in the country. Its reputation is akin to the Harvard of reform schools. But behind the top-tier athletic program and its elite prep school looks lurks a startling open secret: serious violence is an everyday occurrence, and has been for decades. 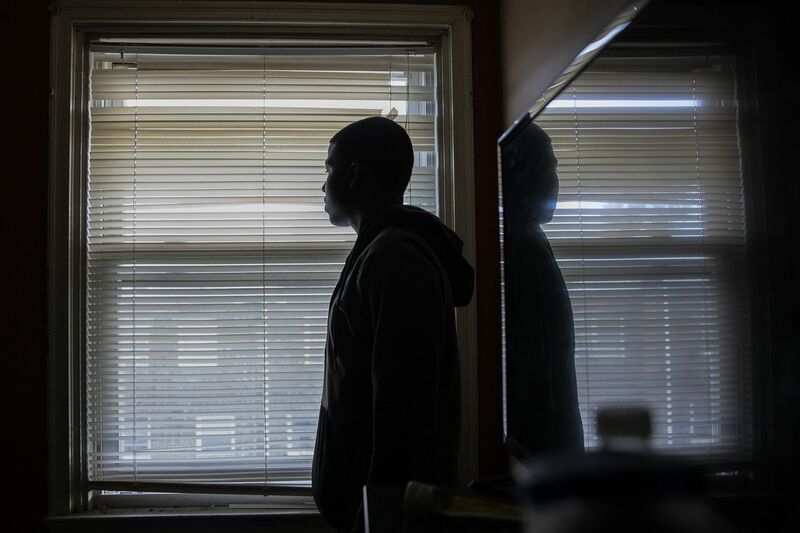 An Inquirer investigation has found top leaders turned a blind eye to the beatings while failing to properly vet or train counselors who use the school’s prestige as a weapon. A former Philadelphia homicide detective was arrested Tuesday and accused of grooming and sexually assaulting male witnesses during criminal investigations, then intimidating them to keep them silent. The charges against Philip Nordo, 52, stem from a long-running probe into the ex-detective’s conduct. Nordo was fired in 2017 after 20 years on the force. Before charges were filed, prosecutors had been quietly dismissing or altering cases connected to Nordo. Having a baby is expensive. From prenatal visits and ultrasounds to the birth and postnatal care, the medical bills add up. For expecting mothers, insurance companies often “bundle” basic services, keeping costs lower. But what about when pregnancy ends in a miscarriage? If the “bundle” breaks, losing a baby can cost more out of pocket than giving birth to one. A Bucks County man pleaded guilty Tuesday to killing 14-year-old Grace Packer, the adoptive daughter of his girlfriend, in 2016. His girlfriend is also expected to plead guilty. The U.S. Supreme Court has announced it will not consider a defamation case involving Bill Cosby, and Justice Clarence Thomas has used the opportunity to call for a reexamination of libel laws. Want to move to Tennessee? Ready or not, a new study says Philadelphia could be as hot as Memphis by 2080, thanks to climate change. Manny Machado has officially signed with ... the Padres. Now Phillies fans are eagerly awaiting the fate of Bryce Harper. Karl Lagerfeld, creative director for the House of Chanel and Fendi, died Tuesday morning at 85. He’ll be remembered as much for his personality as for his work, columnist Elizabeth Wellington writes. Margate Pier has been closed to the public for 96 years. But that’s likely to change soon, if the city has its way. It’s always nice to see things from a new point of view, @9thday_ofmarch. The Wells Fargo Center is shrinking its box office (thanks, internet) but it’s expanding food offerings during the next phase of its renovation. The long journey of Danny DiGiampietro from bread runner to bread maker to owner of South Philly’s Angelo’s Pizzeria is a compelling one — but it might make you hungry. The Sixers have landed a Sports Illustrated cover for the first time in 11 years. Strangely enough, the headline from the 2008 cover is still very relevant. Finding love is hard enough, but for black women pervasive myths and stereotypes can make dating even more challenging. A Penn doctoral student says to break those barriers we have to address racism at large. Philadelphia rapper Meek Mill is in another feud over his rapping skills, but this time it’s with ... actor Michael Rapaport? This weekend, Lincoln Financial Field will become an ice rink for the NHL’s Stadium Series. The only thing that can stop it? The weather forecast. “In the School District of Philadelphia, immigrants and native-born students of African backgrounds rarely see themselves reflected in curricula. What message does this absence of their people, their histories, their cultures send to children?” — Aminata Sy, founder and president of the African Community Learning Program, on why Philly’s African students need culturally inclusive education. Democratic presidential hopeful Sen. Kamala Harris is a charismatic “generic Democrat,” columnist Will Bunch writes, but that’s not necessarily a bad thing. Reducing recidivism makes our communities safer and Pennsylvania has a lot of work to do, writes Attorney General of Pennsylvania Josh Shapiro. You’ll swoon for this very Philly love story: the Kensington Voice spoke with a couple heading for their 50th wedding anniversary who still volunteer on the block where they started dating. There’s good news for the Nile Swim Club, via the Philadelphia Tribune. They report two entrepreneurs have stepped in to save the Delaware County landmark from closing. As Mariposa Food Co-op celebrates 48 years in West Philadelphia, Philadelphia Gay News has examined how it has served as an LGBTQ haven yet still has ways to go in connecting with its black and brown neighbors. As the fashion world mourns the death of Karl Lagerfeld, revisit the legend’s last interview with the Cut from December 2018. It’s full of the one-liners he’s known for. The Daily Beast has taken a look inside the abandoned factory where migrants who want asylum are being held in Mexico and it’s an important, if devastating, read. Maple syrup is made from one single ingredient, sap, a mixture of water, minerals, and sugars that circulates in the vascular system of a maple tree. It’s maple syrup season in Philadelphia. (Yes, we do have a maple syrup season.) Whether you have a tree to tap or want to travel to a tapping, there are many ways to taste the fresh stuff.